ஜூன் | 2013 | அவார்டா கொடுக்கறாங்க? I just felt like I watched the rip off of every single action film I have ever seen. With a production budget of $225 million, you’d think they would invest in a good story at the least, but NO. They had to go with the plot of a clichéd Indian movie. Bad guys hunting the hero and his family, hero goes to far off land, bad guys hunt him there, final fight, hero wins and gets the girl too. There were few things that were good about the film. I believe a majority of the audience was quite disappointed. And so was I. Here is my opinion about it. Henry Cavill (Clark Kent) looked absolutely amazing but seemed to have a standard expression as shown below, although the part where he screams in the climax is an exception. The CG was okay but I felt it was way too cluttered and overdone. There was no clear distinction and many parts of it were just a mess. Also, it hurt the eye to watch so much movement in close up, that too with 3D effects. The dialogues were not up to the mark at all. Rather they were pathetic. Bad guy to superman: “We have only one choice. Either you die, or I will.” Sure, state the obvious. 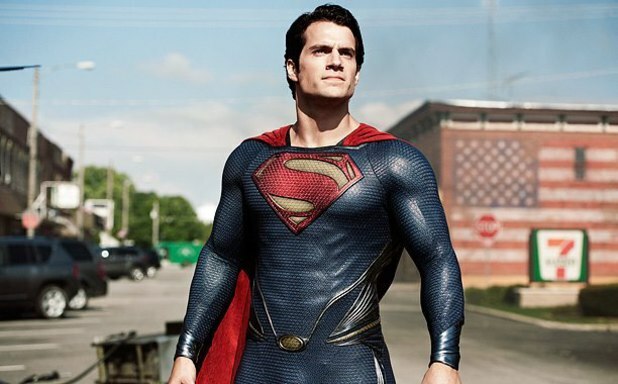 The movie was very slow, and completely lacked the vigor and excitement that is expected of a superman film. It was highly predictable which takes away the joy of watching a film. A very weak storyline does not help either. It can be said that this movie stands alone, and is not a sequel to the Superman saga, and that anyone can watch it. However, I advice against doing so. Finally, if you are going to watch the movie, you can look forward to Henry Cavill looking great, decent graphics and an enjoyable time passing snide comments on almost every line and frame of the film or a good nap. Another review by my niece Ranjini. Every single time those words ring in my ear, it sends a chill down my spine. STAR TREK INTO DARKNESS. What. a. movie. From the time the trailer came out, I was excited beyond my wits to watch it. The thing about these sequels is that, the more you get excited, and the more your expectations become. And it is only fitting to say that every single minute of Into Darkness exceeded them. Firstly, the CG was brilliant, and unlike any other film. It had all the action and the blowing up and the usual phasers and ships, all that is a part of the star trek franchise, but for some reason, everything just looked so spectacular, and the level of clarity that they have achieved in incorporating every single firing and move is remarkable. 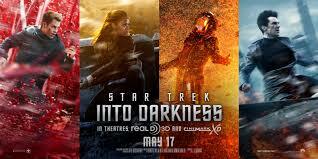 Secondly, the actors outdid themselves compared to the Star Trek movie of 2009. For a moment there, I felt that Zachary Quinto was a better Spock than Leonard Nimoy himself but let’s face it. No one beats Nimoy. However it was a bit disappointing that Spock never mentions the line “Live long and prosper” and that Mr.Nimoy had screen time of less than 10 seconds. Benedict Cumberbatch looked truly formidable and was perfect for the role of Khan except for the fact that his skin color was a bit lighter than our impression of Khan from the Original Series. But come on, he was brilliant. I don’t know if it’s just me, but Simon Pegg always seems to be the technician and engineer recounting his roles from Mission Impossible and Star Trek. Seeing Scotty have a kick at all the action was surprising and Mr.Pegg’s comic way of presenting it was awesome. I thought that all the actors did a great job. Afterall, they aren’t part of the Star Trek franchise for nothing. The one thing that I loved about this film is that, all the three leads, Kirk, Spock and Khan brought out their soft side and they actually CRIED. And especially for Spock, it took the audience by utter surprise. The most notable thing about this film is that it isn’t just for the fans of Star Trek. Anyone who has absolutely no idea about Star Trek will be able to appreciate it and that is something very hard to bring about in the movie of a series that has a history of over 50 years. It’s fast, it’s gripping, not predictable and I believe, will turn out to be one of the best movies of all time and I won’t be surprised if it gets on IMDB’s Top 250 sooner or later. Such a genius this J.J.Abrams is. Word has it that he will be directing the next Star Wars movie and I can’t wait for it already! Overall, in my opinion, this is the one of the best movies of the entire series and every Trekkie as well as non-Trekkie is in for a treat. Sorry for the spoilers btw. It’s a Silver Lining after all. 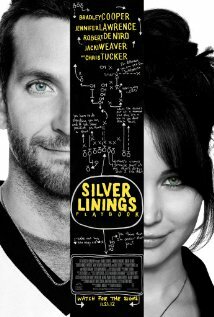 I was browsing through my Facebook news feed and I just happened to stumble upon a post about Silver Linings Playbook and I realized I’ve been putting it off for too long. I know this is late, but what the hell? It’s definitely a movie which leaves you with mixed thoughts and emotions but I should say it was something refreshing as opposed to the cliched love stories that flood the box offices every other month. Really simple story-line, not extraordinary cinematography or anything, quite crude actually, but that’s how I believe it was meant to be and I must admit, it was great. Dialogue delivery was brilliant and absolutely easy to follow. And for the record, I could hear what they were saying. Such a clever way to bring out what people with bipolar disorders and people under medication for the mind go through and to weave it into some love story must have been quite the task. Well written, something that humans can relate to and on the whole, it leaves us, at least me with a lasting impression. One could argue that it does seem like other love stories for the simple reason that they get together at the end of the day and everyone’s happy but we all are suckers for happy endings aren’t we? And to think that things do turn out fine for two people who are pretty much crazy is kind of reassuring that there is a Silver Lining after all. Great stuff. Definitely one to watch again. And hoorah for Indian people!